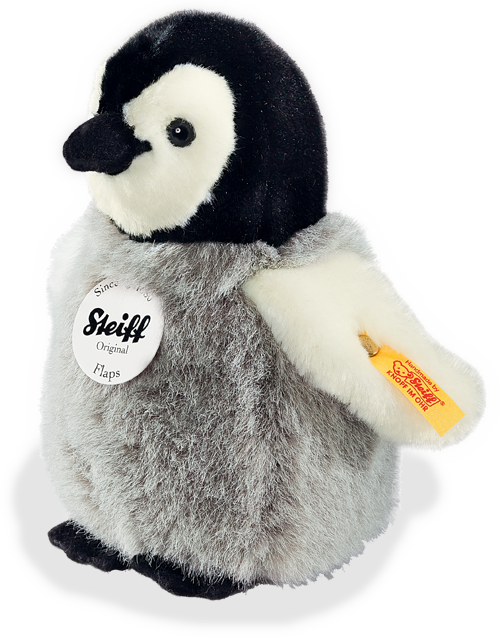 Steiff animals Flaps Penguins Are Always Popular, 057144 ~ Free Steiff Gift Box! 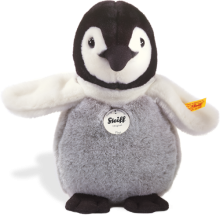 "Lovely size and perfect gift"
Steiff Flaps Penguin is made from soft cuddly woven fur in a mixture of black, white and grey. 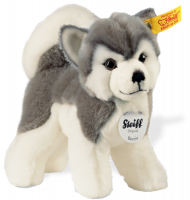 A perfect gift to love forever and made by the famous teddy bear company - Steiff bear. Normally Steiff animals and bears have the famous 'Steiff button in the ear' but as penguins do not have ears the famous button has been placed in his wing.